It goes without saying that shaping your eyebrows is among the hottest trends in the cosmetology and beauty industries right now. We realize that here at Apple Valley Eyebrows, and that’s why we make sure to offer you all the latest options and innovations in eyebrow shaping. There are numerous procedures for shaping brows, but one of the questions that many customers tend to ask the most is what the difference between trimming and threading is. Trimming of the eyebrows simply refers to lightly trimming and shaping them. In trimming, the hairs of the eyebrows are brushed upward, and then tiny scissors are used to cut the excess length and even out the hairs, reducing their bushiness. It is similar in process to receive a haircut trim. After the initial trimming, then customers might want to additional undergo tweezing to remove any unwanted hairs around the eyebrow line in order to shape their brows into the desired style. 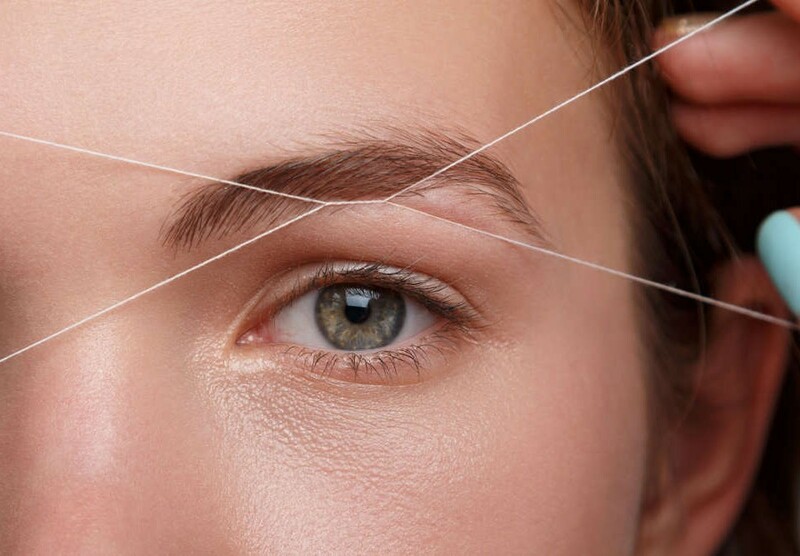 Threading consists of taking two pieces of thread that have been twisted together and then pulling them together across the eyebrow line to create the desired eyebrow shape. Threading can be a difficult process for the untrained hand to execute, but here at Apple Valley Eyebrows, our cosmetologists have been appropriately trained in the art of threading. They know the proper method for administering the procedure, and you’ll never have to worry about them threading away too much of your eyebrows. Threading allows you to achieve a more detailed look that still retains more of your natural look. Whereas waxing can provide you with a defined look, sometimes it isn’t the best option for certain clients for numerous reasons. 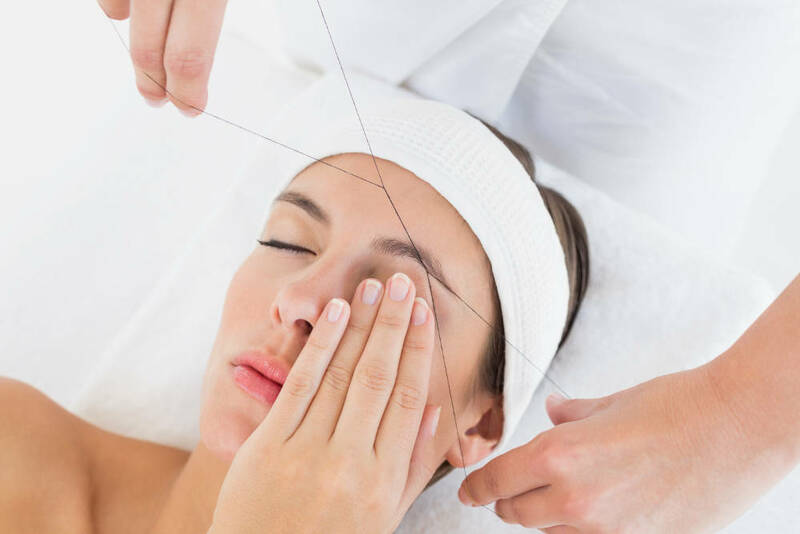 For instance, if you’re taking certain medications or have certain types of dry skin conditions, threading might be the best option for those people wanting to achieve an extremely defined shape. Here at Apple Valley Eyebrows, we sometimes recommend that clients undergo a trimming procedure before a threading procedure. If the hairs of the eyebrows are especially long or unkempt, trimming them beforehand to get them all to the desired length can help provide better results later on during the threading process. No matter what type of eyebrow shaping you desire, we can help you achieve the look you want here at Apple Valley Eyebrows. Speak to one of our beauticians today about our trimming and threading services.